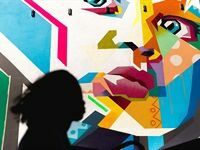 The 2019 Baz-Art International Public Art Festival (IPAF) was held in Salt River, Cape Town from 9-17 February 2019 and featured over 20 local and international artists creating public art under the theme of "Generation Next: Educate, Collaborate, Empower". 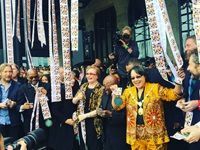 MANDELA: 100 Moments in Time - A Centenary Memorial Exhibition by Dr Peter Magubane launched on Friday 6 July at the Nelson Mandela Gateway to Robben Island at the V&A Waterfront. 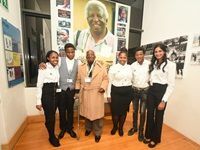 The exhibition features 100 images of Nelson Mandela as taken by veteran South African photojournalist 86-year-old Dr Peter Magubane. The exhibition will run till the 30 September. 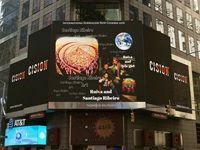 The 2018 International Surrealism Now exhibition took place at Times Square in New York City and is the newest edition of the multimedia art show by surrealist artist Santiago Ribeiro. 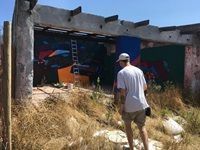 Yesterday, 14 February 2018 the International Public Art festival (IPAF) special guided street art tour took place in Salt River. 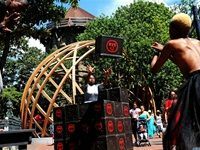 The Institute for Creative Arts (ICA) lunched the international Live Art Network Africa with a live performance yesterday, Wednesday 14 February 2018, in The Company's Garden and at The Iziko Slave Lodge in Cape Town. 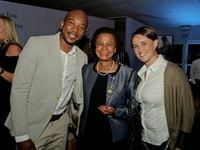 Andrew and Jeanne Dunn, in support of the Nelson Mandela Foundation, hosted a special private viewing of John Meyer's Mandela: A Life's Journey at The Lookout in Cape Town on 3 May 2017. 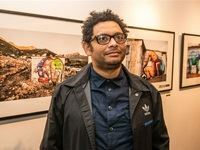 Graffiti artist, Falko One, exhibited People Like Us last Wednesday night, a collection of 20 paintings specially created to showcase what it means to #LIVEWITHHEART at Upstairs on Bree gallery. 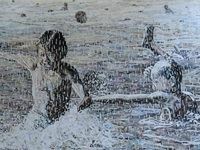 Southern Guild will be participating in the Christie's London biannual design auction in April. 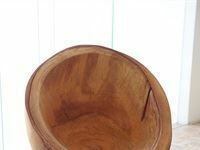 The 25 lots Southern Guild will submit for the First Open, South Kensington, Post-War and Contemporary Art Auction will include pieces by 18 South African designers including Porky Hefer, David Krynauw and Dokter and Misses.